I have five new Athabascan heroes: Fred John, Jr., Harry John, Pam Sam, Diane John and Debbie Titus. 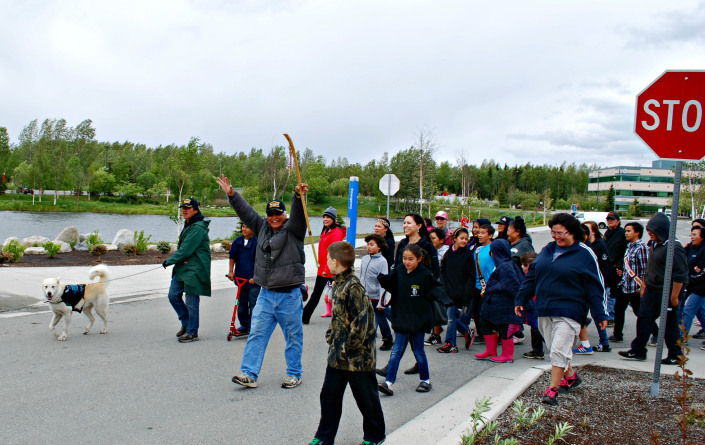 They completed a 375 mile walk from Dot Lake to Anchorage on May 31. I also greatly admire Becky Semler of Oregon who supported the team during the walk. Tazlina (Harry’s dog) deserves and an honorable mention for leading the team the whole way. They could not have accomplished their 375 mile journey without tremendous amount of support from family, friends, individuals and organizations. The children of Fred John, Jr. and Linnea John and really the family of the late Katie John worked behind the scenes to take care of logistics, food, and many other duties. They had many walkers who joined them along the way, and had people welcome them from each community. 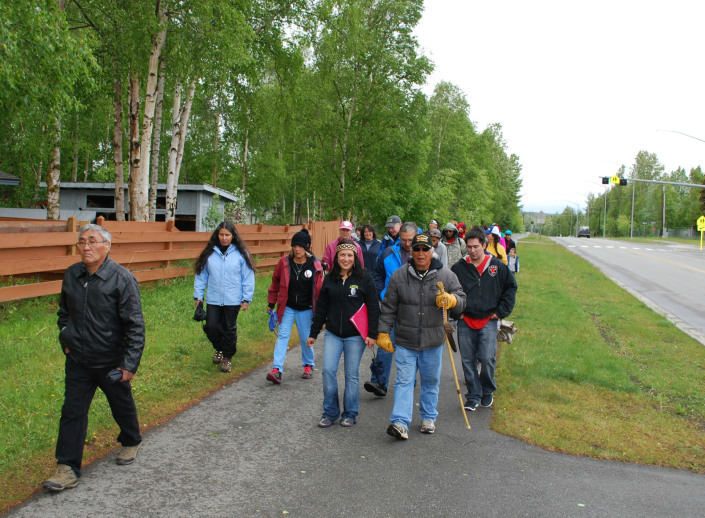 There were about 150 people who joined in the final stretch through Anchorage. Anne Thomas and other representatives of Chitna Native Corp. Here is an audio recording of the speeches at the Walk for Tsucde celebration. Please email me at ayatlin @ hotmail.com or comment below with any corrections or additions to the list above. What a momentous occasion to watch in person. Check out their Facebook page for many more photos and updates. 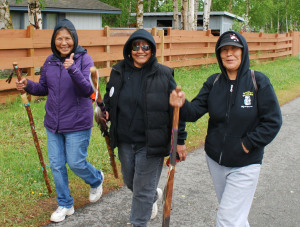 I loved seeing the expressions on their faces as they finished their 375 mile trek in honor of the late Katie John and for the protection of Alaska Native rights, subsistence rights, sobriety and veterans. I was blessed to speak with Harry John for a brief moment. He was telling me a lady from Kotzebue cooked him fish, which was her last one. Harry said it was in Eagle River…bless her dear heart <3. I wish I can find out her name.